Come and get your roux on at the 17th Annual Mexico Beach Gumbo Cook-Off! It’s time to kick back and let the good times roll as we gear up for a day of delicious gumbo and Brunswick stew, friendly competition, free Mardi Gras beads, music, prizes for the winning chefs, and a whole lot of fun! This year’s gumbo cook-off will take place February 21 at Sunset Park in Mexico Beach, right beside the El Governor Motel. The festivities will begin at 10:00 a.m. and continue until all the gumbo and Brunswick stew runs out. 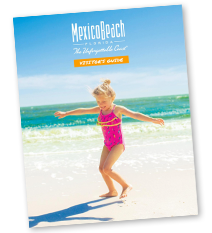 There is still plenty of time to book a trip to Mexico Beach for this festive event. To learn more about accommodations, including beachside inns, rental homes and campgrounds, visit MexicoBeach.com/places-to-stay. And, if you think you have what it takes to be crowned the 2015 Gumbo King, enter your team for the competition! See full rules and get your contest form at the link provided below. Entry is free and forms are due by Friday, February 13. With live music and free beads, this is one cook-off that will get you in the Mardi Gras mood. Admission to the event is free. Tickets will be available for purchase to sample as many gumbos and stews as you like. There will be beverages available, as well as hot dogs and BBQ sandwiches for sale. All proceeds raised will go toward the Special Events for Mexico Beach’s Best Blast on the Beach July 4th fireworks show.